The truth about medical malpractice. There is no doubt - when patients are harmed due to preventable medical errors, they face a number of challenges holding hospitals, HMOs and healthcare providers accountable. Some of the common preventable medical mistakes and systems erros that lead to these mistakes are HMO or hospital failures to diagnose; misdiagnoses or ignoring laboratory results; unnecessary surgeries; surgical errors or wrong site surgery; incorrect medication or dosage. And the leading cause of medical malpractice suits are diagnostic errors, which amount to about 40% of cases. Patients often run into difficulties when they try and find out when the medical errors took place because physicians are not legally required to disclose malpractice to patients. Even though, under the American Medical Association code of ethics, the physicians are obligated to inform patients of the facts concerning mistakes that occurred. Since this is not mandatory, physicians tend to ignore them. Hospitals have risk managers who will investigate and document hospital mistakes but not disclose them to the affected patients. What does this mean for the patient? It means that we have to work harder to bring you the justice that you deserve. 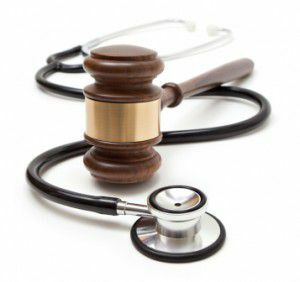 If you feel that you are a victim of medical malpractice, you need to understand this information and act on it. Contact our offices and our recognized, Board Certified medical malpractice lawyers in D.C. will give you information you can use to help your family. We do this whether we agree to investigate a case or not. We think that's the way it should be. Pick up a copy of our 7 Symptoms of Medical Malpractice: How Every Patient Can Recognize, Stop and Avoid Medical Mistakes for more information about medical malpractice and medical mistakes. Also check out our News section for up to date information on medical malpractice in the news.